Anders Celsius (27 November 1701 - 25 April 1744) was a Swedish astronomer. Celsius was born at Uppsala in Sweden. He was professor of astronomy at Uppsala University from 1730 to 1744, but travelled from 1732 to 1735 visiting notable observatories in Germany, Italy and France. At Nuremberg in 1733 he published a collection of 316 observations of the aurora borealis made by himself and others over the period 1716-1732. In Paris he advocated the measurement of an arc of the meridian in Lapland, and in 1736 took part in the expedition organized for that purpose by the French Academy of Sciences. Celsius was one of the founders of the Uppsala Astronomical Observatory in 1741. He is best known for the Celsius temperature scale, first proposed in a paper to the Royal Swedish Academy of Sciences in 1742. He died of tuberculosis in Uppsala. R. Luther discovered asteroid #82 Alkmene (named for the mother of Hercules). A meteor was photographed for the first time, by Austro-Hungarian astronomer Ladislaus Weinek during the Andromedids meteor shower. A. Borrelly discovered asteroid #322 Phaeo. J. H. Metcalf discovered asteroid #653 Berenike. The first rocket interception of an airplane occurred at White Sands, New Mexico when a Nike-Ajax guided missle shot down a QB-17 drone. James D. Wetherbee (born 27 November 1952) is an American astronaut and a veteran of six space shuttle missions. Wetherbee earned a degree in aerospace engineering from the University of Notre Dame before receiving his commission in the United States Navy. Aa a Navy test pilot, Wetherbee worked extensively on the F/A-18 aircraft before being selected as an astronaut candidate in 1984. He piloted mission STS-32 in 1990 and commanded missions STS-52 (1992), STS-63 (1995), STS-86 (1997), STS-102 (2001), and STS-113 (2002). The final four missions were space station dockings with Mir and the ISS; STS-113 was the last complete space shuttle mission before the Columbia disaster. Filming started for the "Star Trek" pilot "The Cage" (originally aired as the foundation for the first season two-part episode "The Menagerie"). 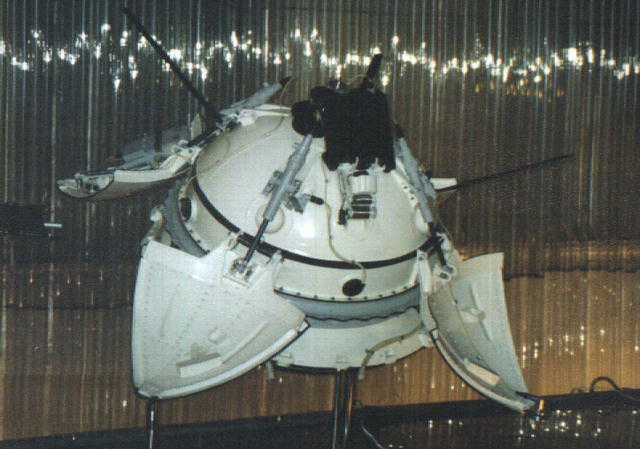 The USSR Mars 2 descent module became the first manmade object to reach the surface of Mars, in an uncontrolled descent leading to a crash landing. USSR launched Soyuz T-3 with cosmonauts Leonid Kizim (Commander), Oleg Makarov (Flight Engineer), and Gennady Strekalov (Flight Engineer) to the Salyut 6 space station. T. Seki discovered asteroid #3182 Shimanto. NASA STS 33 (Discovery 9, 63rd US manned flight) landed at Edwards Air Force Base at the close of the fifth shuttle mission dedicated to the US Department of Defense. STS 33 was launched 22 November 1989, the first night launch since the shuttle Challenger was destroyed during its launch, after the 20 November launch attempt was rescheduled to allow changeout of suspect integrated electronics assemblies on the twin solid rocket boosters. This was the fifth shuttle mission dedicated to the US Department of Defense. The mission ended when Discovery landed on revolution 79 on Runway 4, Edwards Air Force Base, California, on 27 November 1989. Rollout distance: 7,764 feet. Rollout time: 46 seconds. Launch weight: classified. Landing weight: 194,282 pounds. Orbit altitude: 302 nautical miles. Orbit inclination: 28.45 degrees. Mission duration: five days, zero hours, six minutes, 48 seconds. Miles traveled: 2.1 million. Discovery was returned to KSC on 4 December 1989. The STS 33 flight crew was: Frederick D. Gregory, Commander; John E. Blaha, Pilot; F. Story Musgrave, Mission Specialist; Manley L. Carter, Jr., Mission Specialist; Kathryn C. Thornton, Mission Specialist.